The interesting parts of Tha Kaek are stretched out along the river south of the old ferry landing. The cross-river passenger ferry is still in service, but is restricted to Thai and Lao nationals with border passes. The old town area runs along the river and is centered on a meridian plaza that runs away from the river and turns into the main road out of town. 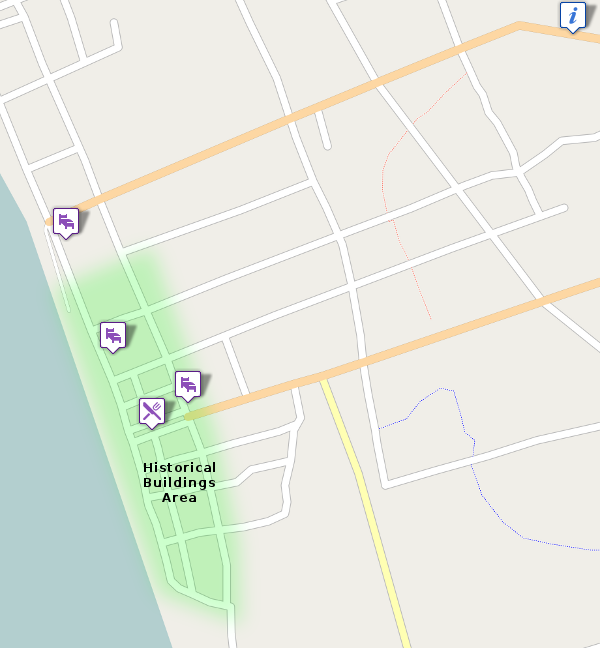 You will want to select a hotel in this area, as it's also where all the restaurants are as well. Be sure to take some time to just wander the streets around this area to take in the old dilapidated French colonial buildings. There is a tourism information center on the far edge of town, if you would like some suggestions on where to go and what to see.